We are SO excited that it is FINALLY summer! My girls can't get enough of being outside, and I am more than happy to let them explore and have FUN! Happy Babies will be taking a little break for the month of June and 4th of July festivities. 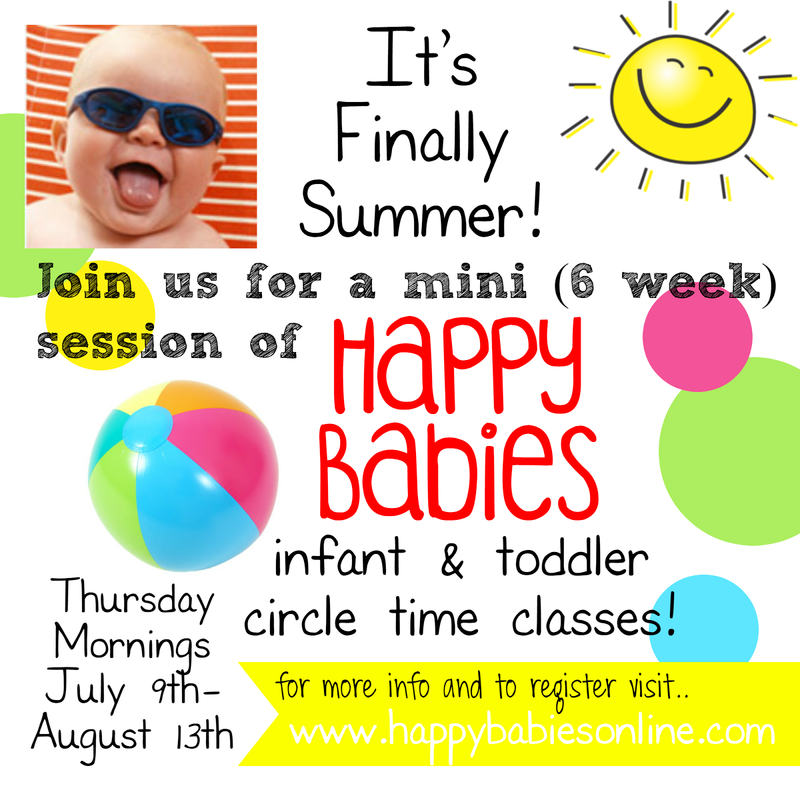 Thursday mornings only July 9th- August 13th. For more information about classes visit our ABOUT page. Registration is open now! Sign up for class here.